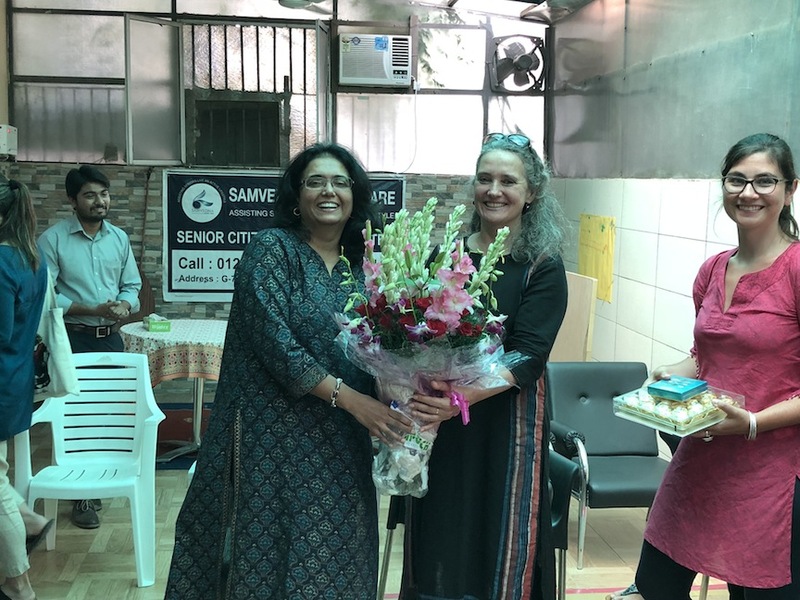 At the inauguration of the workshop at JNU, our founder Archana Sharma shared her thoughts with the group on Samvedna’s journey and its challenges and the changing social relationships in context of nuclear families in big cities like Gurgaon. 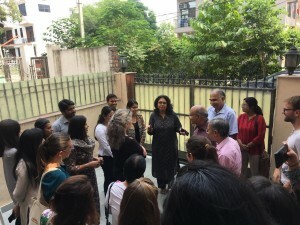 This was followed up by a field trip by the students to our senior centre in Gurgaon, where they interacted with our members, family caregivers and Samvedna’s staff members. The students had a good insight into various aspects of care and how the families and professionals were working together to help the elderly. 24th – 26th September, 2018. It was a pleasure to hear eminent gerontologist Dr. Andreas Kruse, Heidelberg University and noted film actor and psychiatrist Dr. Mohan Agashe on their insights into some of the films. Our founder Archana Sharma along with Christiane Brosius also moderated one of the discussions for the film – ‘Forget Me Not’ on 25thSeptember. 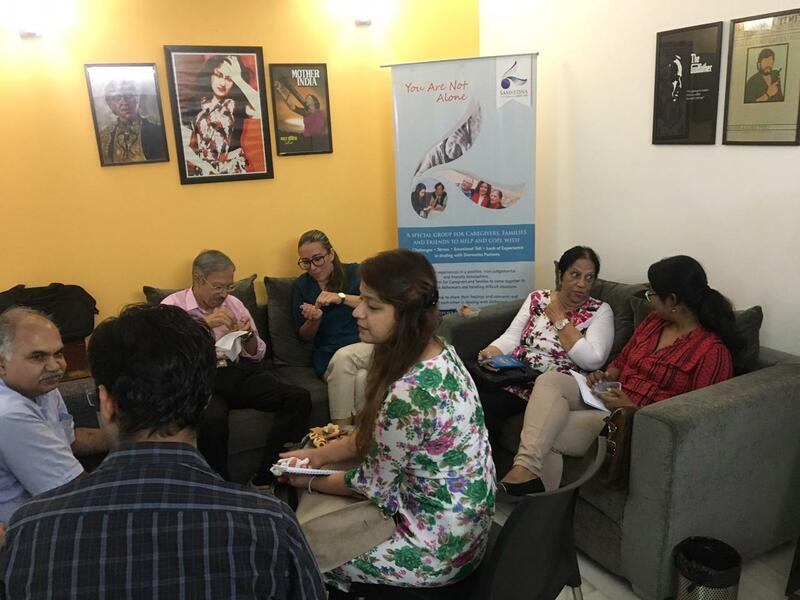 It was an enriching experience for both the students, Samvedna staff and members to learn from each other and discuss various aspects of ageing across different cultures. We look forward to more such interactions with Heidelberg University and other academic institutions with focus on ageing curriculums. Samvedna Senior Care was established in October 2013 with two primary goals – dementia care and active ageing. 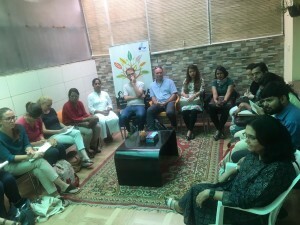 Our aim is to cater to the intellectual, emotional and physical wellbeing of seniors in Delhi NCR. We help them live happy, active and independent lives, in the comfort of their home and community through interactive caregiving. Our aim is to provide quality home care services to seniors with limited mobility or dementia, and to facilitate stimulating community interaction and participation.